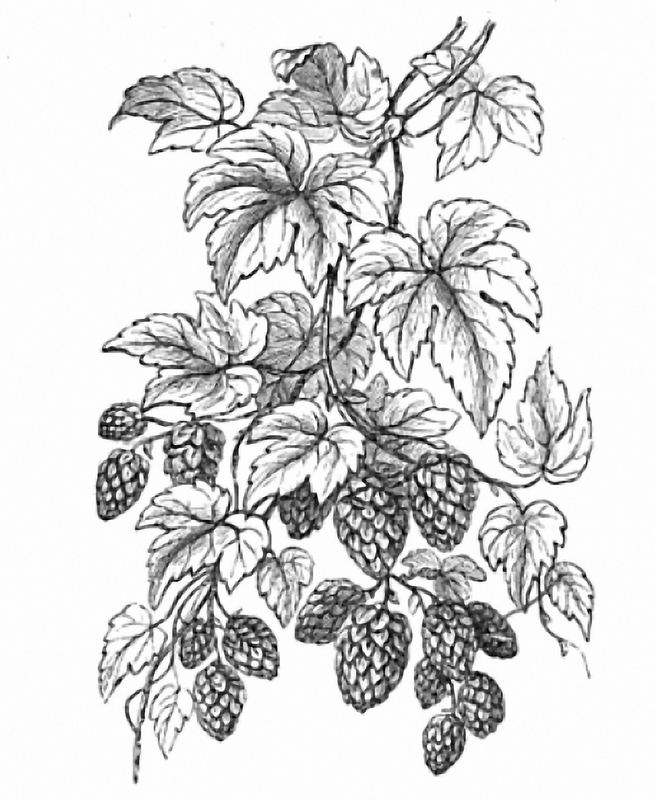 How long have British brewers been using American hops? Far, far longer than you might have guessed: for around two centuries, in fact. The earliest evidence I’ve collected so far of hops from the United States in England is from exactly 196 years ago: May 1817, when the Liverpool Mercury newspaper carried a notice of the arrival in the city of a ship from New York, the Golconda, carrying 417 bales of cotton, 319 barrels of flour, 1,322 barrels of turpentine – and two bags of hops. Rather more came across the Atlantic a few months later, in November, when two ships arrived, the Pacific from New York and the Triton from Boston, with cargos including 49 bales of hops and 30 bags of hops respectively. An even larger consignment, 185 bales (a bale being 200 pounds), arrived the following month, December, from Boston on board the ship Liverpool Packet. Not coincidentally, these imports of hops from the United States were arriving in Britain right after the famous (to climatologists) Year Without a Summer of 1816, itself the result of the biggest volcanic eruption in recorded history (with the possible exception of the putative proto-Krakatoa), when Mount Tambura in Indonesia blew up on April 10 1815 with a roar heard 1,600 miles away, sending 50 to 100 cubic kilometres of rock into the air and dumping tens of millions of tonnes of sulphur and ash into the stratosphere via a column of smoke and fumes 27 miles high, covering the northern hemisphere in a sulphate veil. Temperatures in North America and Europe dropped by as much as 3C for at least two years, rainfall rose by as much as 80 per cent, and agriculture was badly hurt.